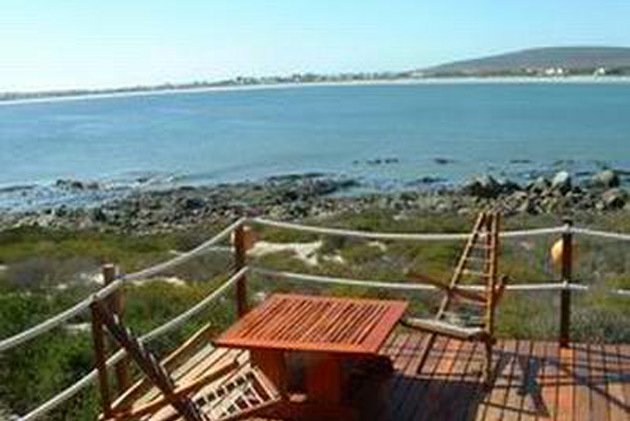 Now in its lucky 13th year, Dolphin B&B and Self-Catering offers comfortable and affordable three-star accommodation on water’s edge of Britannia Bay, only 1½ hours from Cape Town.Well-situated for day visits to the West Coast National Park on Langebaan Lagoon and Cape Columbine Nature Reserve (with its famous Tietiesbaai) near the quaint fishing village of Paternoster. Visitors can take a peek into history at the West Coast Fossil Park and the fishing museum in Velddrif. The area is a nature lover’s utopia. A birdwatcher’s paradise, there are more than 200 species to tick off. Follow the Flamingo Route which includes a visit the hides at Rocher Pan, the Berg River estuary and the saltpans of Velddrif – only a few of the many viewing sites close by. Or join a tour of the internationally renowned palaeontological diggings sat the nearby Fossil Park. A botanist’s dream, with free spring flower veld displays every year. Or visit the annual Darling and Hopefield Flower Shows. Stroll the white sands and cool off in the safe waters of the bay, the ideal place for watersports. Retrace the steps of the Portuguese discoverers; watch dolphins and whales in the bay; explore the seafood route or dive the many wrecks. And at the end of a perfect day, raise your glass to a spectacular sunrise and the promise of yet another breathtaking sunrise. Dolphin B&B and Self-Catering is the West Coast’s best kept secret … where you’re sure to have a whale of a time but, be warned, a visit can be habit-forming!